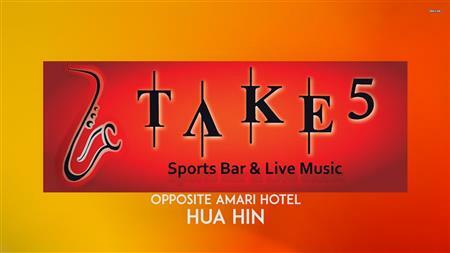 May's Fellowship evening will be held at the famous Take 5 Sports & Music Bar opposite the Amari Hotel. The event will be held on the roof terrace and the cost THB 700 per person, to include freeflow wine and beer from 1800h-2000h and a buffet -see below. A DJ will also be present to play background music and there will be 10% off all drinks for those who wish to stay after 2000h. Dress is smart causal, and please register for the event in the usual way.